We’d love your help. Let us know what’s wrong with this preview of The Duellist's Companion by Guy Windsor. 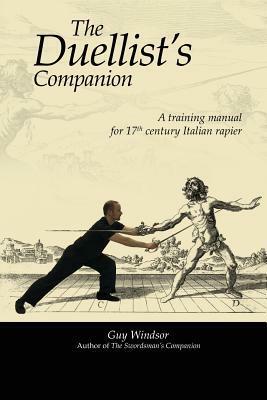 A complete training guide to 17th century Italian rapier fencing, and a thorough interpretation of the style of legendary swordsman Ridolfo Capoferro, author of the most famous fencing book in history, his Gran Simulacro, published in 1610. First published in 2006, this guide is the standard work on the subject. To ask other readers questions about The Duellist's Companion, please sign up. I am a swordsman, writer, and entrepreneur. I research and teach medieval and Renaissance Italian swordsmanship, blog about it, write books about it, have developed a card game to teach it (which involved founding another company, and crowdfunding), and run The School of European Swordsmanship.